Doctors routinely warn women to avoid smoking and using alcohol or drugs during pregnancy. Why? Because the unborn child’s body and brain are slowly developing, and the mother’s blood provides materials to the placenta, which nurtures the growing fetus. If the mother consumes these chemicals while all this is happening, the substances will make their way to the baby and the phase of development that is happening at the time could be disrupted, causing permanent, life-limiting damage. For example, consuming alcohol while pregnant can cause a range of possible birth defects that doctors call “fetal alcohol spectrum disorder” (FASD). The visible body disfigurement can be shocking. And while the actual damage to the brain can’t be seen, it permanently disables a child’s behavior. Doctors’ warnings prevent most of these horrors; but of course not all women abstain, and over half a million people in the U.S. suffer from FASD. Tragically, all too many of the victims will never be able to live independently or have normal relationships. Adolescent children who abuse alcohol or drugs are also at risk of brain damage, but not for the same reason. The difference between a teenager and an unborn child, both of whom are undergoing critical phases of brain development, is that the older child can do damage to his or her own brain without the help of the mother. Since the prefrontal cortex, which coordinates critical thinking and executive functioning, is under development from about age 12 to 24, alcohol or drug abuse can cause life-long diminishment of the ability to reason and use good judgment as an adult. Realistically, this is the equivalent of permanent brain damage. These consequences apply to all drugs, illegal or legal, that are used habitually or in excess at the wrong time, including marijuana, which is now considered a legal recreational drug in most states. While no more harmful than alcohol to adults, marijuana use is dangerous for young people, whose brains are still developing. A friend of mine told me about his 27-year-old nephew, who smoked marijuana and drank a lot as a teenager. He said the young man still lives at home and acts and talks the same way he did when he was 15. According to Susan Weiss, Ph.D., director of the division of research at the National Institute on Drug Abuse (NIDA), “There’s a growing literature, and it’s all pointing in the same direction: starting young and using frequently may disrupt brain development.” Referring to a Duke University study that followed over 1,000 New Zealanders born in 1972, the team found that persistent marijuana use during adolescence caused a drop in neuropsychological functioning equivalent to about six IQ points. “That’s in the same realm as what you’d see with lead exposure,” she said. For parents of adolescent children, abuse of illicit drugs is a major worst-case scenario. What they may not know is that abusing legal drugs can also disrupt normal brain development. 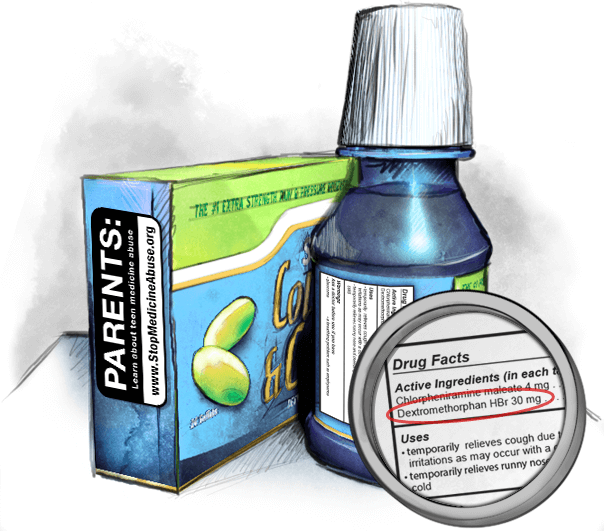 I’ve shared articles by Blaise Brooks and Peggy McKibben, who report that roughly one of 30 teens admit to abusing OTC cough medicine to get high. So whether the drugs are illegal or legal, prescription or OTC, the consequences of abuse go beyond drunkenness, risk-taking behavior or addiction. Abuse can disrupt the basic development of the thinking part of the brain, which could cause a life-long reduction in intellectual capacity. Abusing OTC cough medicine can cause the equivalent of permanent brain damage! Who knew? Another ah-ha for parents, another warning for them to observe their children carefully and inform them that there could be scary long-term consequences. Ignorance is not bliss. For tips and guidance on what to watch for and what to do, see Brooks and McKibben. This blog post first appeared on the website StopMedicineAbuse.org. The impact of drug and alcohol abuse on the developing adolescent brain is the subject of Chapter 9 of my new book: How Your Teen Can Grow a Smarter Brain. For Parents of Pre-Adolescent Kids – Prepare Now!